Congress plans to legalize hemp in the U.S.
After decades of campaigning, lawmakers are preparing to completely legalize hemp in the U.S.
Senate Majority Leader Mitch McConnell, R-Ky. is upholding the legalization provision, which is included in the Senate’s farm bill. Once legalized, hemp will be removed from the same federal controlled substances list as heroin and instead, the plant will be classified as an agricultural commodity. Lawmakers are anticipated to make headway next month when they will congregate to prepare the final bicameral draft of hemp legalization in the U.S.
Once upon a time, hemp was a commonly cultivated crop. It wasn’t until the War on Drugs emerged that it was banished and added to the federal controlled substances list. Since hemp is a variety of the Cannabis sativa plant species, it was added to the list in the fears of people misusing hemp. However, farm-state politicians and cultivators have protested that both cannabis and hemp have been wrongly categorized in the same class, despite the fact hemp is non-psychoactive. As a result of this, farmers have been unable to capitalize on the future commodity crop. Advocates are confident that the hemp industry in the U.S. is on track to become the next big thing. With scientists constantly discovering new uses for hemp-derived cannabidiol oil, rapid industry growth is highly likely. Notwithstanding, concerns have been raised regarding the price of hemp and how it might plummet before demand is sufficient. Although hemp is botanically the same species of plant as cannabis, it contains traces of the psychoactive constituent tetrahydrocannabinol, better known as THC. The plant is not used to produce euphoric effects. Rather, it is a reliable crop used for the creation of sails, nets, ropes, and cloth. In fact, patriotic farmers were encouraged by the World Agriculture Department to cultivate hemp amid World War II, due to its suitability for making parachute webbing and naval towlines. Demand soon dropped and some years later, in 1970, the Controlled Substances Act was passed by Congress. It was this act that prohibited the cultivation of hemp and cannabis, despite both crops being significantly different in their THC content. Nowadays, hemp is imported from several countries to make supplements, t-shirts, herbal teas and automotive parts. The industry racks up $688 million in the U.S. on an annual basis. Canada has been legally cultivating hemp since the year 1998. 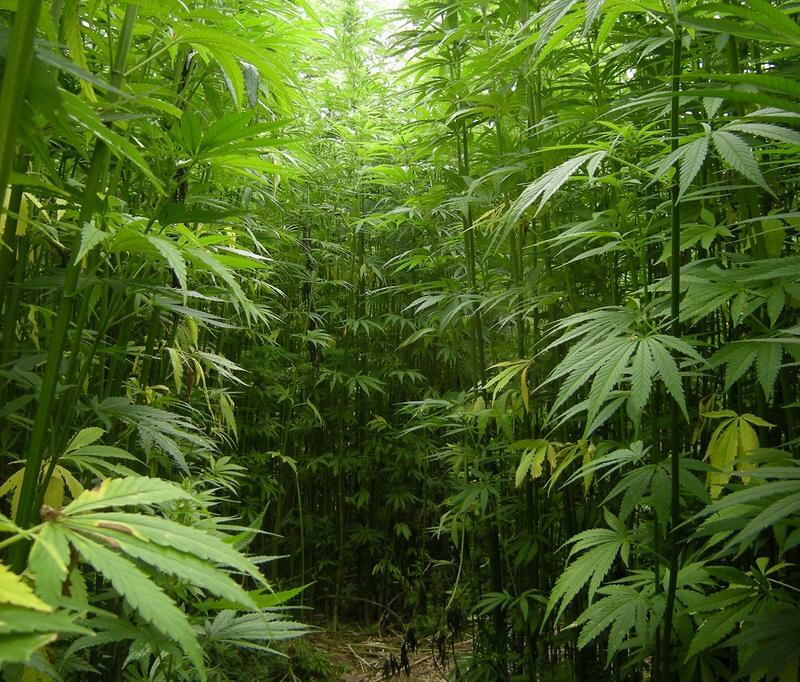 Under the latest Senate legislation, U.S. farmers will be able to grow their own hemp. In order to acquire and plant hemp seeds, farmers will be obliged to adhere to specific rules. “The ideal scenario is one in which farmers can grow this like any other crop,” said Eric Steenstra, the president of the cannabis advocacy group Vote Hemp. While it is tricky to determine whether or not hemp will become the next big crop for consumers and farmers, the legalization of hemp in the U.S. is expected to trigger market and supply chain development, so stay tuned.